In 1897 a huge underground reservoir was constructed on the top of Summerhouse Hill with a capacity of one and a quarter million gallons and another was sited on Hendford Hill, of 800,000 gallons capacity. These supplied Yeovil by gravity until both were replaced in 1955 with the construction of Sutton Bingham reservoir. However in the 1930s (?) with the continual expansion of the town, it was not possible to gravity-feed properties in the area of the the Hundredstone Corner on Mudford Road. 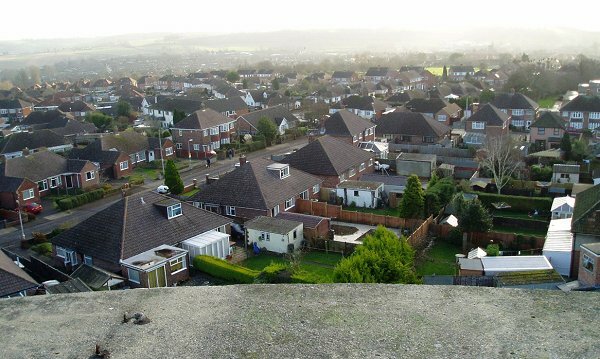 Because this is the highest point in Yeovil, and higher than Summerhouse Hill, it was necessary to pump water to a bulk water tank, then gravity-feed to the new local homes that were being built in Glenthorne Avenue and Ashford Grove. 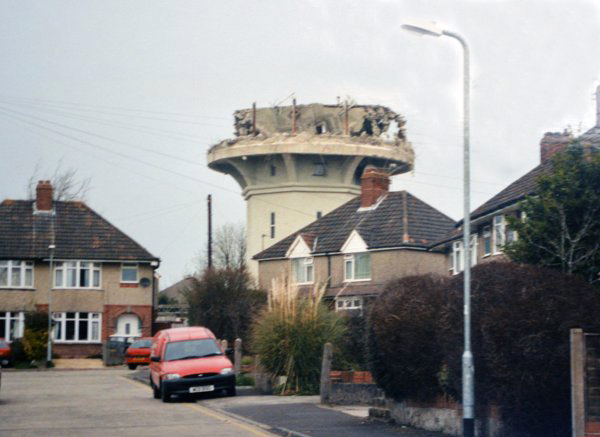 Consequently a water tower was built at the end of Ashford Grove, accessed via a 45m long access track, although frequently known as the Mudford Road water tank. It was a clear skyline landmark visible, for instance, from the A303 above West Camel five miles to the north or from the Corton Denham Ridge, a similar distance to the northeast. In June 1941, during the Second World War, an air reconnaissance of the water tower and its surrounding area was undertaken in order to establish the likelihood of its becoming a target for enemy bombers. The following report noted that "the Water Tower was readily observed.... from heights of 6,000 feet to 60 feet." Further, the report noted "That the concrete roads in the area not already camouflaged were very noticeable from all heights (see first photograph below), and the opinion was expressed that they should all be camouflaged completely, that is, both parts of Glenthorne Avenue, Elmhurst Avenue, Ashford Grove and Allingham Road." As a result of the report, the Corporation instructed the Borough Surveyor to put in hand the camouflaging of the roads with creosote. 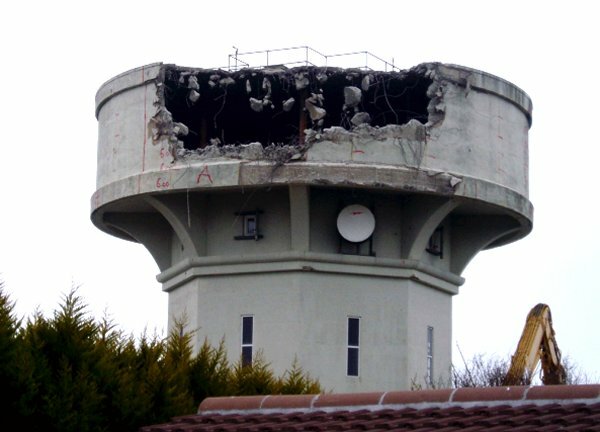 This water tank was demolished in 2005. 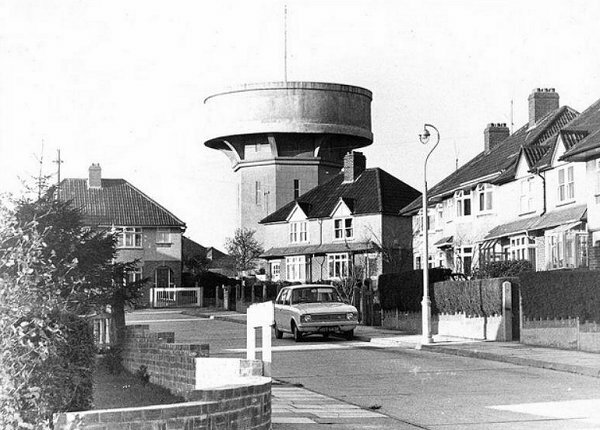 A similar, but smaller and narrower, water tower was sited in Springfield Road, although this was built in the middle of a field years before Springfield Road itself was built. 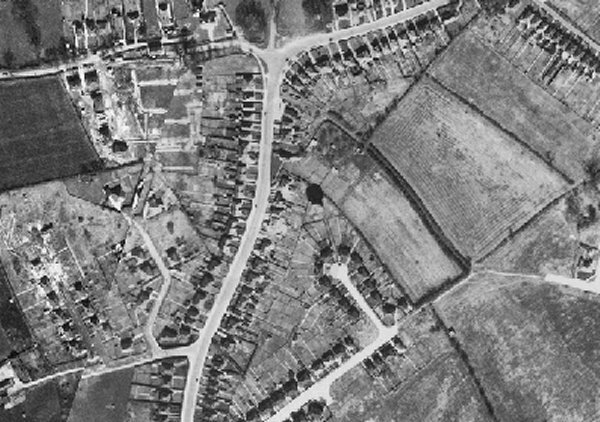 The tower is present on the 1946 aerial photograph of Yeovil (last photograph below) but at this time Stiby Road had only been built from Ilchester Road as far as Marl Close and the water tower was in a field at the end of the northernmost western 'arm' of Marl Close. 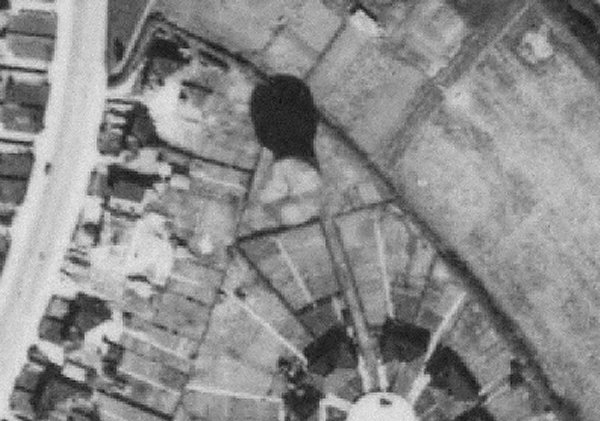 At dead centre of this 1946 aerial photograph is the black, circular shadow of the Ashford Grove water tower. Mudford Road sweeps up the centre of the photograph before running off to the right. At very top centre is the Hundred Stone. At bottom centre newly-constructed Glenthorne Avenue has only been built as far as Ashford Grove, at the top of which the access track to the water tower is seen. 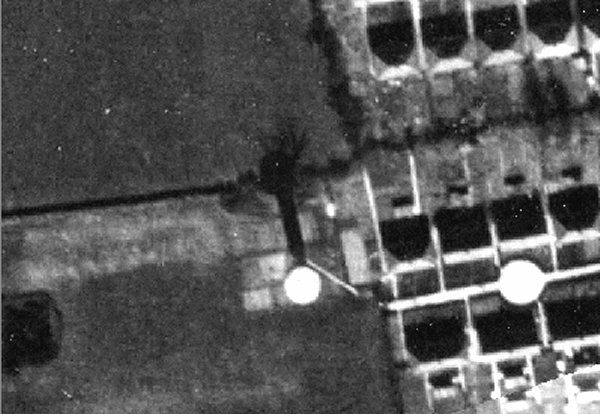 An enlargement of the centre of the previous 1946 aerial photograph with the water tower at centre and its dark shadow above it. The access track is visible running from the turning circle at the end of Ashford Grove. The water tower seen from Ashford Grove, photographed in 1969. 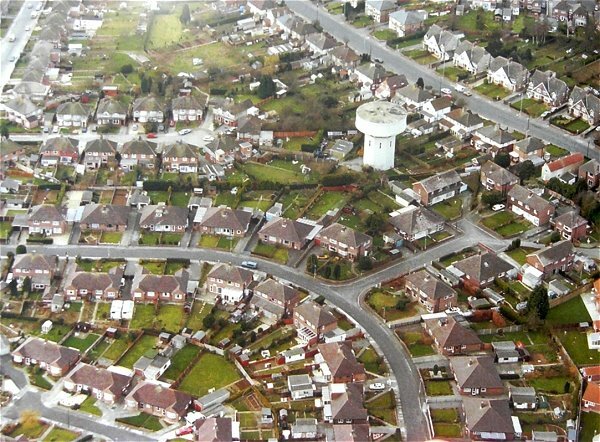 The Ashford Grove water tower seen in its wider setting in this aerial photograph of 1993. Mudford Road is at top right while High Lea curves around lower left. Ashford Grove runs towards the water tower at top left. A closer look, cropped from the previous photograph. 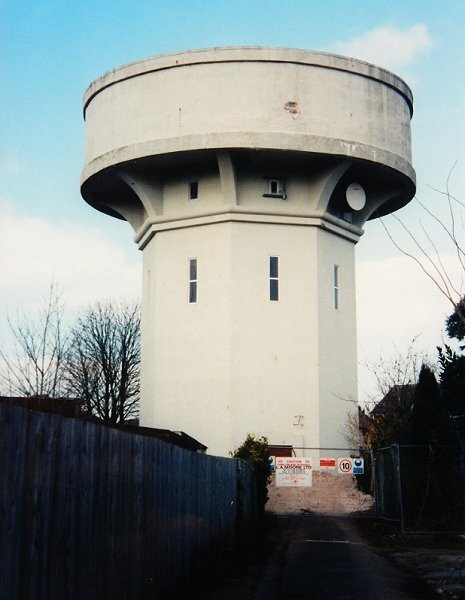 The water tower photographed in March 2005, shortly before demolition began. 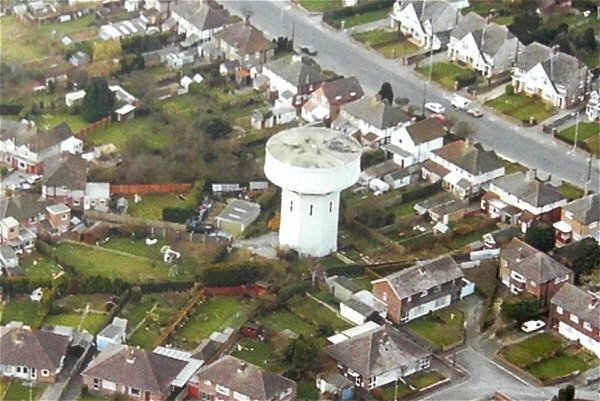 The water tower photographed from High Lea in 2005, just months before its demolition. Not exactly an aerial photograph, but close. 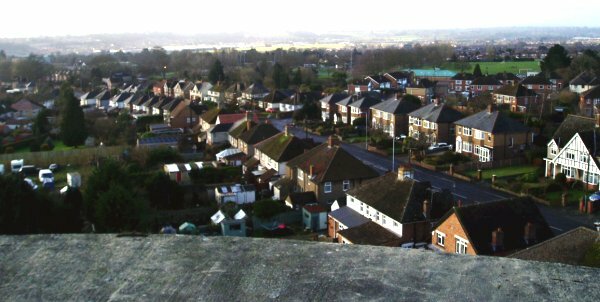 The view southeast, across High Lea, from the Ashford Grove water tower. Photographed in 2005. The view southwest, across Mudford Road and beyond to Westland, from the Ashford Grove water tower. Photographed in 2005. 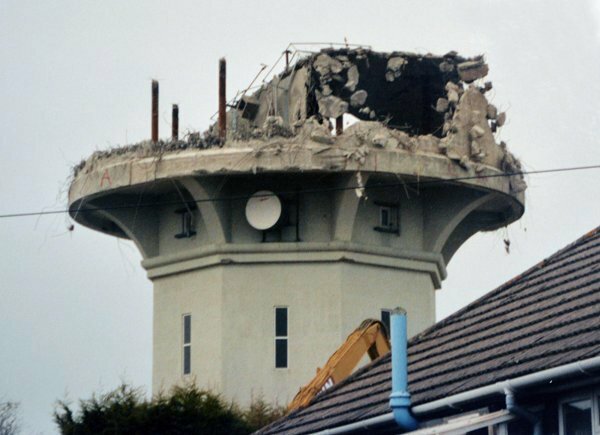 Again, photographed from High Lea in 2005, as demolition begins. Demolition of the tank gets well under way. 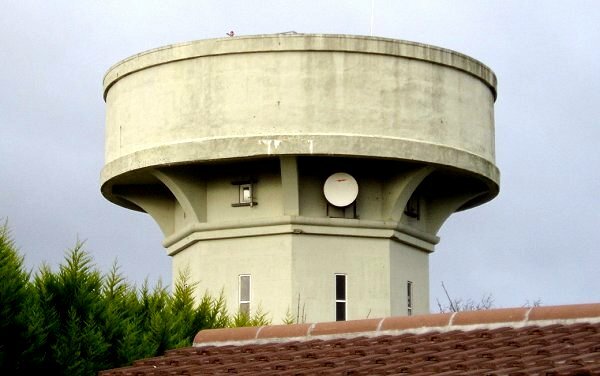 The top part of the structure, the actual water tank, slowly disappears. The long, thin shadow and water tower at the centre of the photograph are in a field later to become part of Springfield Road in this 1946 aerial photograph. At right is newly-built Marl Close. The white circle in Marl Close is a turning-circle in the road.